Our vision is to use an innovative building product to create our client’s visions. We want to inform and educate our clients on cost effective alternatives to traditional construction approaches. We are a little bit different … in a good way. 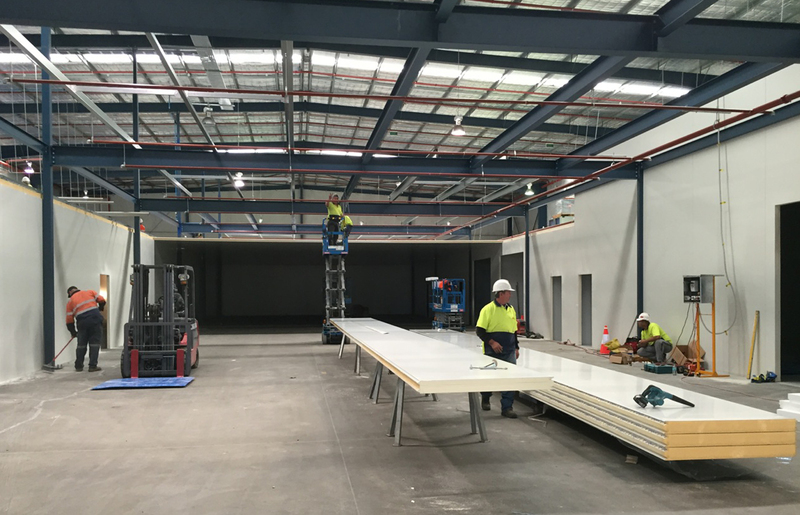 We’re a family-owned Australian business—and we want to help our clients with creative construction solutions. For the past 25 years, we’ve been manufacturing, supplying and optionally installing our insulated panels to fulfil our client’s varied needs. We know what it’s like to be under pressure for time and money so our solutions are cost-effective, easy and cheaper than traditional methods. We’re here to help make your visions a reality. We want to support and guide our clients to meet their objective with a personal, friendly, and professional approach. Our mantra is “on time and on budget”, so any plans we develop with you will always deliver results—whatever your needs. Austec Panel Systems’s custom-made insulated panels have a variety of uses—from residential, to commercial, to industrial. Whatever your needs, we’ve got you covered—we can even optionally install them. Why not give us a call?